After topping the timing sheets in all four sessions of the day Roger Clark Motorsport leave Cadwell Park with the Championship lead in the UK Time Attack Championship, having scored maximum points in both qualifying and the final . An excellent day with total reliability saw Gobstopper II finally able to get its first fully dry competitive runs under its belt on its Pirelli slick tyres after the first three events were blighted by the typically changeable UK weather! In cool yet bright conditions with only a few small, tree shaded patches of the Cadwell Park circuit still damp, a set of scrubbed medium compound slicks were fitted to the car for the early warm up session. After taking the fastest time in the session by over 3 seconds and the car nicely dialed in the RCM team happy with the set up switched to a set of brand new Pirelli medium slick tyres and went out for Practice later that morning. This time Olly managed to take the fastest time by just over a second. Into the afternoon and the serious business of Qualifying! Olly again took first place qualifying with a blistering 1:26.512. Like every round his year, that set a new Pro Extreme lap record, but was an agonising 0.012 seconds behind the existing fastest Time Attack lap of Cadwell Park – the Pro class lap record of 1:26.500 set by Gavin Renshaw in 2013. Onto the final and Gobstopper II immediately set a 1:26.890 to put RCM top of the timing sheets. Gareth Lloyd unfortunately suffered a mechanical failure in the SVA Evo guaranteeing maximum points for Olly and RCM. As the end of the Final loomed and victory in the bag Olly returned to pitlane to discuss the remainder of the session with the RCM team. With the car performing faultlessly and confidence high Olly had been able to push harder and harder throughout the day consistently recording faster and faster entry speeds into Cadwell Parks challenging series of turns. A real testament to the unbelievable performance and durability of the Pirelli rubber! A decision had been made! There was more time in the car for sure - Olly fired up Gobstopper II once again. RCM were going after the record. Crossing the line for his flying lap with just seconds to spare it was now or never. 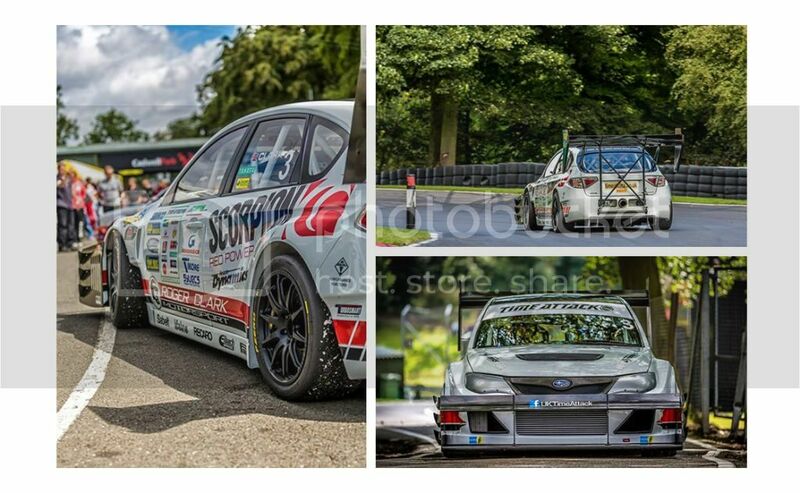 Olly pushed GSII to the very limits, blasting the Impreza flat-out over Cadwell’s crests, piercing a line through the narrow, twisting ribbon of track. After crossing the line for the last time, cheers go up in the crowd. RCM had done it! Olly had set a blistering 1:25.833 lap beating the existing record by over half a second! It goes without saying that everyone in the RCM team was hugely satisfied with the performance of the car on the day. Taking fastest time in each session, maximum points from the day and a lap record to boot with no mechanical issues to report is everything we could have hoped for from the car! With your continued support we hope to carry this momentum into the next event at Silverstone for Round 5 on September 7th.